Offering premium services and hospitality, Hotel Purple is a nice accommodation for all types of guests. 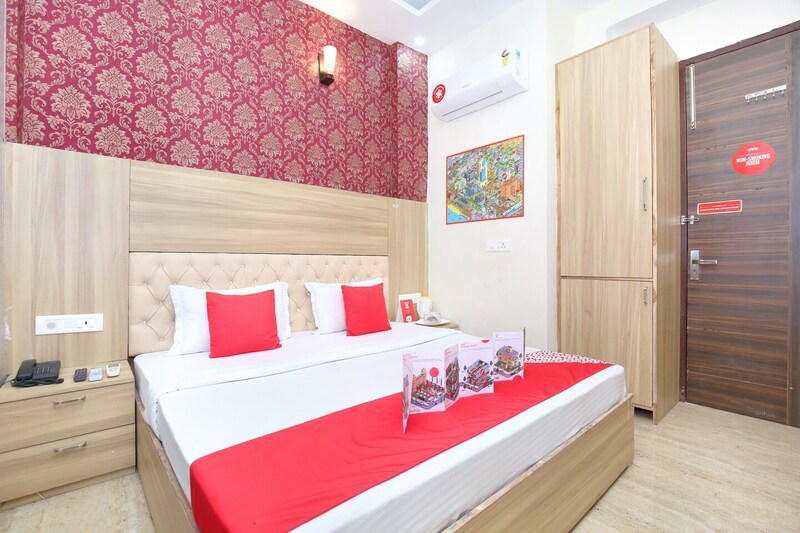 The rooms are well-lit and fully furnished for the comfort of the guests. The walls are decorated with textures adding to the overall charm of the room. The seating area here is also well-furnished and can be used by guests to relax. Power backup and CCTV cameras ensure the security of the guests. Free Wi-Fi service is also offered by the hotel for guests to stay connected with social media or catch up with work. Guests can enjoy delicious delicacies at the restaurants nearby.